SolutionMUS implementation marries the best practice models of participatory governance and demand-responsive, market-based approaches with sustainable financing and management. Diligent application of these practices ensures that results are achieved and benefits endure over time. After conducting a participatory assessment of current water services, construct and rehabilitate water services using market-based technologies and sustainable service management models. Encouraging participation by all stakeholders throughout the process will help foster sustainability and equity. Encourage participation of all water user groups at all stages of the process. Agree on clear roles and responsibilities among stakeholders. Require people to contribute resources before construction to demonstrate local commitment. Support technicians and entrepreneurs in the local supply chain for infrastructure, parts and repair services. Provide substantial follow-up support that guides, but doesn’t finance, water users. Let the community help select technical options most aligned with local needs and resources. Follow environmental protection requirements to protect water sources and improve the sustainability of the water supply. 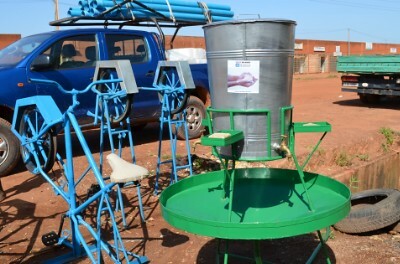 A privately owned workshop in Burkina Faso builds and installs a variety of rope pump models and handwashing stations. Shops like this are trained and supported by Winrock’s Burkina Faso WA-WASH program. To achieve the greatest impacts, carry out health activities alongside water services implementation. Capitalize on the excitement and changed behaviors surrounding new water services by promoting improved sanitation and hygiene practices. Start small. Prioritize easily implementable health promotion activities. Know your target audience when developing training and promotional activities to maximize impact. Promote market-driven local supply chains with limited, targeted subsidies. Give people choices so they can select what works best for them and encourage stepwise adoption. 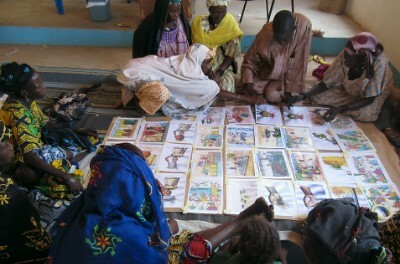 Winrock social mobilizers from the WA-WASH Program in Zinder, Niger train community MUS representatives on hygiene. Improved water services alone will increase productivity of water-related productive activities. Enhance the impacts from these improvements by providing technical assistance, strengthening value chains and improving market access. Livelihoods decisions and actions should be appropriate and sustainable in the interest of not harming the environment. Showcase existing projects to expose people to the benefits of livelihood-related activities. Build local capacity of businesses and entrepreneurs, enabling them to provide goods and services to the local community. Partnering with Heifer International Tanzania, Winrock, through the iWASH Program, provides training and materials for improving productivity of existing and new livelihoods activities. 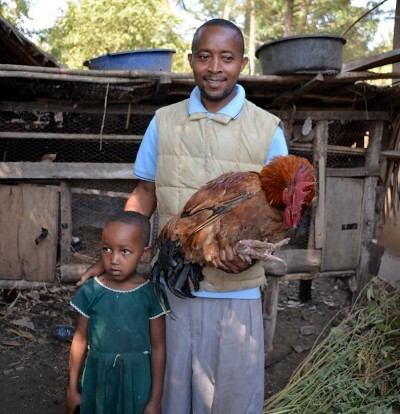 While iWASH funds the “software” aspects of the program (planning and training), Heifer International funds the “hardware,” including improved livestock breeds, seed, vaccines and medicine through their “pass the gift” approach. At a minimum, SolutionMUS programs should follow the principle of “do no harm” in their implementation process. Create awareness around water-related environmental issues and consider additional activities to protect and improve environmental health that contribute to sustainable water services and benefits. Strengthen environmental governance for equitable and sustainable allocation of water. 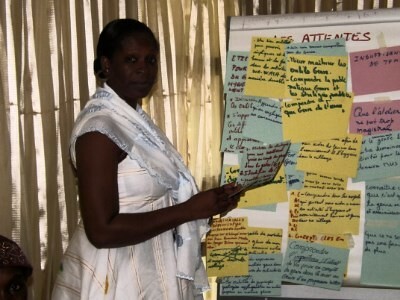 Facilitate local exchange visits to help people see connections between their activities and environmental impacts. Follow the principle of do no harm, including identifying and mitigating negative environmental impacts. Invest a portion of water fees in water source protection, pollution prevention and climate change adaption. Allow people to choose the most appropriate and cost-effective environmental protection options. Make use of environmental decision support tools such as community watershed mapping. A environment committee representative (in yellow) explains how, now that their water needs are met, his community rallied funds to secure their water permit. The committee established land use by-laws prohibiting deforestation around the mountain spring water source, with the added benefit of protecting habitat in this Tanzanian biodiversity hotspot. Implement SolutionMUS program components as a coordinated, strategically sequenced package, rather than as one-off isolated activities. Develop funding strategies that creatively pool financing from different sources to cover the costs of all water, health, livelihoods and environment program components. Engage a team of implementing partners (international or local NGOs, government departments, private firms) with specialized expertise for each benefit-enhancing program area. Establish mechanisms for effective and efficient coordination among implementing partners during all stages of implementation.